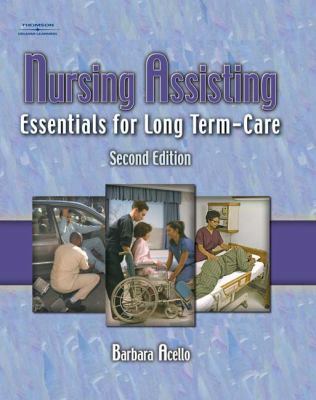 The 2nd edition of Nursing Assisting: Essentials of Long Term Care is specifically designed to prepare individuals to take the state certification exams. It presents basic resident care information for long-term care facilities emphasizing the realities of clinical practice while offering solutions to common problems encountered in the practice. This book meets the OBRA and CDC standards and emphasizes Infection Control in every chapter.Acello, Barbara is the author of 'Nursing Assisting Essentials For Long-Term Care', published 2004 under ISBN 9781401827526 and ISBN 1401827527.